A clash between trading house Vitol and Azerbaijan's SOCAR over Caspian Sea oil shipments is forcing Turkmenistan to slash exports of crude due to a lack of tankers. Turkmenistan typically exports about 200,000 tonnes of oil per month via the Caspian to world markets, mainly from fields operated by the UAE's ENOC and Italy's Eni, but flows have halved in recent weeks, six traders involved in operations said. That happened after Turkmen producers decided to export oil via Russia with the help of Swiss trader Vitol and ditch the previous Azeri route, operated by state-owned SOCAR. The reasons behind the change are not fully clear but trading sources attributed it to pricing disagreements. Three trading sources said SOCAR had raised tariffs, while one source said Vitol had offered lower tariffs. "The only problem was that Vitol was lacking tankers," one of the sources involved in operations said. Vitol said it would not comment on commercial activity or trading. SOCAR, ENOC and the Turkmen Energy Ministry declined to comment. Russian pipeline monopoly Transneft did not respond to a request for comment. Eni said it had not been forced to reduce exports or production and that "the situation was stable". Russian Energy Ministry data shows that no exports of Turkmen oil occurred via Russia in January. In February, only 80,000 tonnes will be loaded from the Black Sea port of Novorossiisk. Eni declined to say why its production and exports were stable after such a drop in shipments or whether it was stockpiling oil in Turkmenistan. SOCAR controls the Caspian's largest fleet of small and mid-sized tankers, which used to ship Turkmen oil to Baku. From there, it was loaded into the BTC pipeline to the Turkish Mediterranean port of Ceyhan. In Turkmenistan, ENOC's Dragon Oil is developing the Cheleken oilfield, with annual output of some 2.4 million tonnes. Eni produces nearly 300,000 tonnes per year from the Okarem field. In 2018, crude from Dragon Oil was exported via BTC through SOCAR. Eni also sold volumes to Vitol, which in turn resold it to SOCAR. Under new long-term deals for this year, Dragon and Eni chose Vitol to export oil to the Russian port of Makhachkala, where Transneft is taking it to Novorossiisk. Upset by the development, SOCAR refused to let Vitol use its tankers, the six traders said. "Everyone is free to defend their commercial interests," said a source at SOCAR when asked about tankers. Vitol has secured several tankers, but these will be able to transport only around 120,000 tonnes a month until the Russian river-canal system becomes ice-free and opens to navigation in April, trading sources said. Shipments can then increase. The Caspian tanker shortage was such that Vitol had to charter old ships, including the Grigoriy Bugrov, a 44-year-old vessel that sank in 2011 and was later repaired. "These vessels were chartered on an exceptional basis and only after physical inspection by an experienced professional. 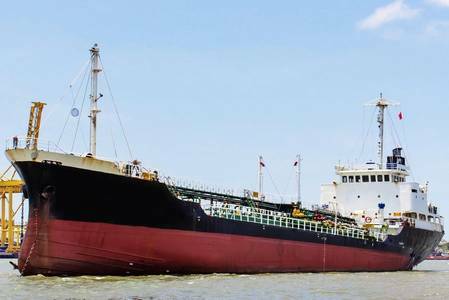 Vitol is extremely mindful of its responsibilities in respect of customers, stakeholders and the environment," Vitol said when asked about the Bugrov tanker. The slowness of crude exports has forced Turkmen producers to stockpile oil throughout January and February, the six trading sources said. "Storage tanks are full so the Turkmens now face the risk of suspending some production," a market source familiar with the matter said. Despite their modest volumes, Turkmen oil exports have always been a high-stakes, high-margins game. Oil is bought in Turkmenistan at a discount of several dollars per barrel to the dated Brent benchmark. Crude is then sold in the Mediterranean at a premium to dated Brent as Azeri BTC - in case of shipments via Azerbaijan - or as Siberian Light, which also normally trades at a premium to dated Brent if it flows via Russia’s Novorossiisk. "Losing Turkmen crude means lower exports via BTC and lower crude quality," a trader with a European refiner said. For Russia, getting Turkmen volumes does the opposite - it helps improve the quality of oil in the pipeline system. Azeri BTC crude oil loadings are scheduled to fall some 10 percent in March versus February. The situation regarding quality was not critical, the SOCAR source said. "Negotiations about getting oil from Turkmenistan are not over ... We hope there is a chance that we will get some Turkmen oil volumes," the SOCAR source added.